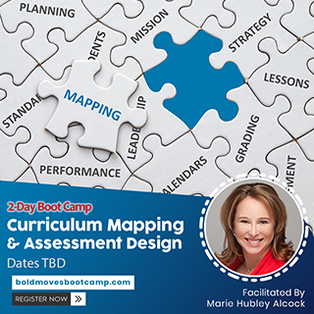 Curriculum Mapping & Assessment Design briefly reviews your schools curriculum mapping mission and strategy, and focuses on implementation, integrating assessment data and upgrading unit maps for contemporary learners. 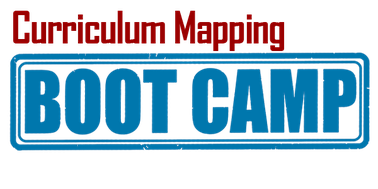 We will discuss your mission for mapping and existing processes, improving maps and documenting procedures for reliable results, integrating assessment data into curriculum maps, and upgrading unit maps to meet guidelines and standards. We will extend personalized strategy sessions to each participant to support the development of an action plan for moving the work forward at your school. Our approach is to customize the program in response to your specific school group or district goals. By the end of this workshop, you will have both a professional development plan and a curriculum innovation program that reflects the modern classroom. Please bring your charged laptop and log-in information to have access to your district’s curriculum writing software. Dr. Marie Hubley Alcock is the founder of Tomorrow’s Education Network, a nonprofit dedicated to connecting the greater community with students in the classroom to improve student literacy. She is also president of Learning Systems Associates and serves as a national and international education consultant. Her work focuses on the areas of curriculum, instruction, and assessment. She is a featured consultant and co-author with Dr. Heidi Hayes Jacobs on Bold Moves for Schools: How We Create Remarkable Learning Environments and Mapping to the Core: Integrating the Common Core Curriculum into your Local School Curriculum (SINET). Tomorrow’s Education Network is a nonprofit dedicated to professional development and curriculum innovation for teachers of tomorrow. Our workshops, live webinars, virtual coaching and curriculum support services help educational leaders create classroom and school systems that engage and prepare learners for success in the 21st century.